The heroin epidemic has Burlington County hard of the last few years. A prime example of the effect heroin has had can be found in the death of a Marlton teenager. Local police, the Burlington County Sheriff’s Office, the New Jersey State Police and the Burlington County Prosecutor’s Office have taken a concerted effort to investigate and arrest heroin possession and distribution. For those individuals charged with heroin possession will be facing a third degree indictable offense and up to five (5) years in a New Jersey State Prison. Also, depending upon to severity of your charges and if there are any other additional charges, you could be subject to pretrial detention based on a motion filed by the Burlington County Prosecutor’s Office. If you were arrested for drug possession in Burlington County involving marijuana, cocaine, prescription drugs, contact an experienced Mount Holly Attorney today. The Burlington County criminal trial lawyers at Proetta & Oliver have represented individuals accused of prescription drug distribution, marijuana distribution, marijuana possession, prescription drug possession and cocaine distribution. Firm Partner and former New Jersey Deputy Attorney General, William C. Fay, IV, has represented clients charged with drug offenses throughout New Jersey. For an immediate consultation with Mr. Fay about your case in Mount Holly, Mount Laurel, Willingboro, Marlton, Bordentown, Burlington Township, Evesham, Pemberton, Westampton, Cinnaminson or Florence, please contact our office at (609) 850-8284. What if I Was in The Car But the Heroin Wasn’t Near Me? One of the most common scenarios with drug possession involves a defendant who is pulled over in a car, either alone or with friends, and subsequently charged with heroin possession after the police search the car. Whether you consented to the search or the police had probable cause, often times my clients ask how they can be charged if the drugs were not “on me” (i.e. in their actual possession). The law allows for heroin charges when the drugs are found in someone’s vicinity through the concept known as “constructive possession.” Here, the state need only prove that you were aware of the presence of the drugs and that you had the ability and intention to take control over those drugs at some point. Circumstantial evidence can be used to demonstrate constructive possession and I suggest you consult with an attorney if you believe that the State intends to proceed on these grounds. How Long Can I Go to Jail for Heroin Possession in NJ? 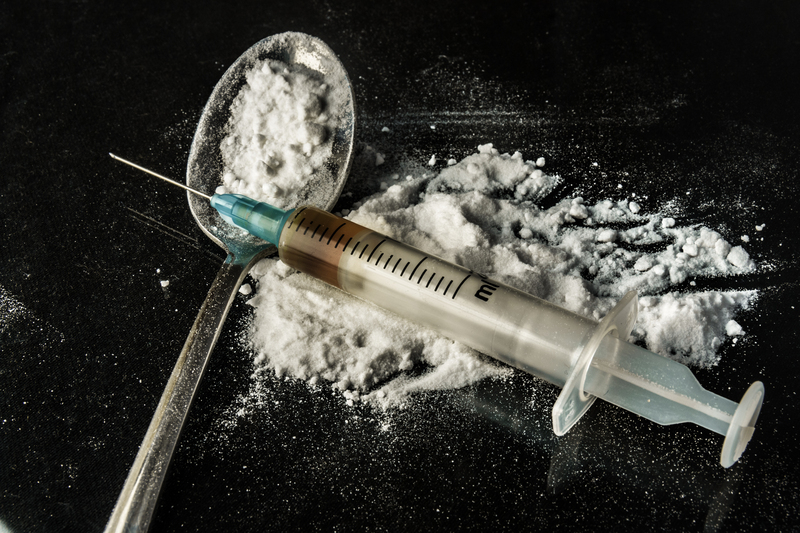 As a third degree offense, heroin possession charges are handled by the Burlington County Superior Court and Burlington County Prosecutor’s Office. If you are convicted of a third degree offense, you are facing between three (3) and five (5) years in a New Jersey State Prison, up to $35,000 in fines, probation, community service, in-patient rehabilitative services, and a felony criminal record. However, an experienced criminal defense attorney may be able to help you avoid any prison time altogether through one of New Jersey’s Diversionary Programs. Depending on the charges, your criminal history and whether or not you case was remanded, you may be eligible for the following programs, Drug Court, Pretrial Intervention or Conditional Discharge Program. For more information on these programs and whether or not you are eligible, please call our Burlington County Office at (609) 850-8284. Drug charges, in general, should never be taken lightly. Whether it is you first offense or your fifth, the possibility of incarceration exists. Contacting a Burlington County Criminal Lawyer can provide you with the knowledge and understanding necessary to make an informed decision on how to proceed. Whether your charges are juvenile or adult, it is in your best interest to afford yourself the counsel of an experienced lawyer. Our offices serve clients throughout Burlington County and would gladly consult with you regarding your pending matter. For an immediate and complimentary consultation, please call our office today at (609) 850-8284.